The 1RM test is often considered as the gold standard for assessing the strength capacity of individuals in non-laboratory environments. The one-repetition maximum (1RM) test is often considered as the ‘gold standard’ for assessing the strength capacity of individuals in non-laboratory environments (1). It is simply defined as the maximal weight an individual can lift for only one repetition with correct technique. The 1RM test is most commonly used by strength and conditioning coaches to assess strength capacities, strength imbalances, and to evaluate the effectiveness of training programmes (2). Despite previous concerns, various 1RM tests have been shown to be a safe and reliable measure of strength in young children (6-12 years) (3), adolescent athletes (15-17 years) (4), healthy trained and untrained adults (18-36 years) (5, 6, 7, 8, 9), untrained middle-aged individuals (50-52 years) (1), post-menopausal women (54-60 years) (10), patients with cardiovascular disease (11, 12), and individuals aged 75+ (13, 14). As this test is simple, time effective, inexpensive, and reliable, it is a very popular testing protocol (15). The diversity of the 1RM test means that it is not limited to only one exercise, instead it can be conducted using a wide variety of exercises such as: back squat, leg press, leg extension, leg curl, bench press, chest press, lat pull-down, seated low row, and the Olympic Clean – to name just a few. Though previous research has been conducted on these exercises, it is important to ensure that the exercise you wish to use has been proven as a reliable predictor of 1RM for your chosen population before conducting your test. For example, whilst the safety and reliability of 1RM back squat testing has been proven in healthy young adults (7), no research to our knowledge has demonstrated that this is a safe and reliable predictor in individuals of 75 years and over. However, although the 1RM back squat has not been proven to be safe and reliable in the elderly population, exercises such as the lat pull-down and the bench press have been (13, 14). Therefore, knowing that your chosen exercise is both a valid and reliable measure of 1RM strength before conducting the test is vital. IMPORTANT: It has been suggested that novice lifters should not perform a 1RM strength test, simply because lifting maximal weight by individuals not accustomed to weight training may induce large degrees of muscle soreness and increase the risk of a more serious injury (2, 16). Though the 1RM test is primarily used to measure maximal strength capacities, it can also be used to measure force-time, power-time, and velocity-time characteristics when performed using specialised equipment such as a force plate. As strength is a vital ingredient in sports performance, optimising an athlete’s strength capacity is often very beneficial (17, 18, 19). Therefore, testing your athletes 1RM before and after your prescribed training programme can be a useful indicator for the effectiveness of the programme. Likewise, it can also be used consecutively throughout the programme to ensure improvements in strength are always being made and to avoid training stagnations. As a result, 1RM testing can be administered for any athlete or individual for whom you deem it to be an important for, and as a useful marker of physical improvement. Furthermore, it can also be useful to calculate relative strength (kg lifted per kg of body weight) when comparing the strength abilities between multiple athletes/individuals. NOTE: It is important to understand that whenever fitness testing is performed, it must be done so in a consistent environment (e.g. facility) so that it is protected from varying weather types, and with a dependable surface that is not affected by wet or slippery conditions. If the environment is not consistent, the reliability of repeated tests at later dates can be substantially hindered and result in worthless data. Over the years, numerous ways to conduct the 1RM test have been used, the protocol explained in this article corresponds to the methods used in a large majority of recent research (1, 3, 7, 8, 9, 13, 14). Throughout the research, various rest times have been used when performing the 1RM test. Whilst some studies have used only 1-2 minute rest periods between 1RM attempts (3, 13, 14, 1, 7), others have used 3-5 minutes (8, 9). Though a rest period of 1-2 minutes between a maximal-effort anaerobic exercise (i.e. a 1RM test) appears counterproductive, the studies appear to have produced valid and reliable results. Consequently, it is simply recommended that when conducting 1RM testing, the strength and conditioning coach selects a preferred rest duration (between 1-5 minutes) and continuously and consistently keeps to that time until further research clarifies this issue. Furthermore, some researchers used the CR10 Borg Scale (20) to determine the duration of the participants’ rest period (13, 14). Participants were allowed to rest for 1-minute if they rated the effort ≤3 on the CR10 Borg Scale. If the effort was rated as ≥4, then participants would be allowed a 2-minute rest period. Those these rest periods appear short, the researchers still concluded that these tests were both valid and reliable. It is however extremely important to note that these 1RM tests were conducted on elderly subjects (75+ years). The participant should perform a warm-up with a self-selected load that will allow them to complete a minimum of 6-10 repetitions (approx. 50% predicted 1RM). 1-5 minute rest (decided by test administrator). Participants then select a weight based on the previous effort which allows them to perform 3-repeptitions (approx. 80% of predicted 1RM). 1-minute rest (decided by test administrator). Participants now increase the load and begin attempting their 1RM. A series of single attempts should be completed until a 1RM is achieved. Rest periods should remain at 1-5 minutes between each single attempt and load increments typically range between 5-10% for the upper-body, and 10-20% for the lower-body exercises. 1RMs should be achieved within 3-7 attempts. If multiple 1RM tests are being administered (e.g. back squat, bench press, and deadlift), then it is recommended that all test exercises should be separated by a 3-5 minutes rest period. NOTE: It is essential that the test administrator follows the exact same testing procedure at every successive test throughout the training programme. This ensures that the previous testing data/information can be used and compared against future tests. This is simply done by recording the individual’s total weight lifted in kilograms or pounds. This figure will give you their maximal strength for that particular exercise. Maximal Strength (kg) = total weight lifted (e.g. 100kg back squat). In the case of measuring an explosive exercise such as the power clean, this figure will display an athlete’s maximal explosive strength. Maximal explosive strength (kg) = total weight lifted (e.g. 100kg power clean). Relative strength is also a useful measure as it allows you to tentatively compare the performances of multiple athletes. 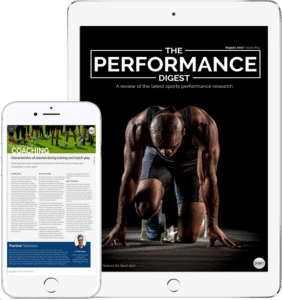 This variable provides a less biased value in comparison to maximum strength – though not perfect – for comparing scores between a group of athletes. Relative strength is how much weight an individual can lift per kilogram of body weight (kg lifted per kg of body weight). Relative Strength (kg · BW) = total weight lifted (kg) ÷ body mass (kg). 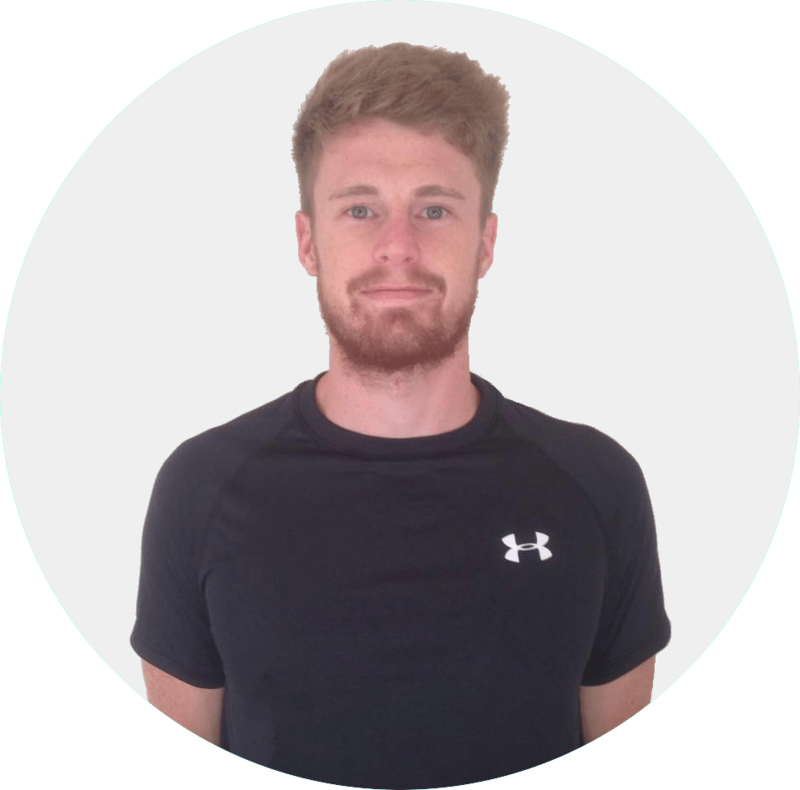 Full range of movement (exercise dependent) – It is essential that the participant achieves a full range of movement with proficiency for the 1RM lifted to be valid. However, you MUST note that if testing a parallel squat then this still applies, but in this instance, it refers to only achieving a full range of movement into the parallel squat and not above (e.g. 1/4 squat) or below (e.g. full squat). So if you are testing the parallel squat, then you must ensure the athlete achieves a parallel squat with technical competency. Injuries – before conducting any 1RM test, it is vital that the athletes are deemed injury-free. When working with individuals suffering from any medical condition, it is highly-recommended that consent is provided by a medical professional (i.e. doctor). Circadian rhythms – circadian rhythms can significantly alter power outputs during such anaerobic performance tests (21).Current knowledge suggests that an early morning anaerobic tests will elicit significantly lower peak power values than a late afternoon or evening tests. Adolescent athletes (15-17 years) (4). Individuals aged 75+ (13, 14). The 1RM test appears to be a valid and reliable measure of performance in a large variety of populations. What’s more, is the test also appears to be extremely diverse and can be conducted reliably on an assortment of exercises. It is however mandatory that these tests are only conducted by qualified and experienced personnel. Performance Testing entails many, many topics. 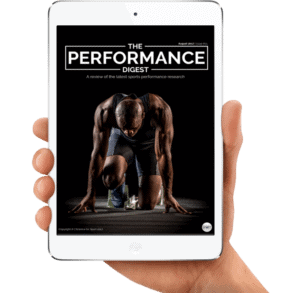 By choosing to simply read up on 1RM Testing and ignore the sea of other crucial Performance Testing topics, you run the risk of being detrimental to your athlete’s success and not realising your full potential. To make you an expert coach and make your life as easy as possible, we highly suggest you now check out this article on The Squat Jump Test.